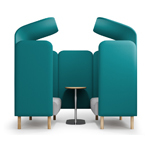 In today’s world where open plan work environments dominate there is still a need to provide private meeting rooms. 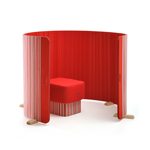 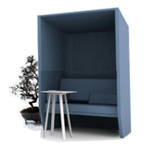 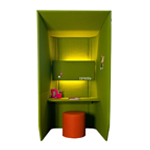 Acoustic pods are designed to provide private space and quiet space where you need it and they are much faster, cleaner and simpler to commission than standard fixed partitions. 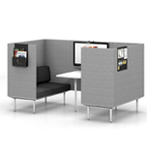 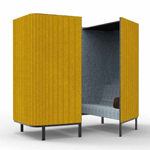 Airea from Orangebox has 26 standard configurations which provide everything from a simple phone booth and quiet room all the way through to a variety of general use office pods and larger meeting room pods.It can be assembled to provide a pod meeting room in just a few hours. 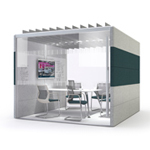 Airea is also a movable room solution so when your business requires it can moved and fully re-used whether this is moving it to another position in the same workspace or a completely new building location.